Most biofuel in America is made from GMO corn grown in industrial monocultures in the Midwest. But researchers are racing to develop alternative fuels from more environmentally-friendly crops. “Dude!” my buddy exclaimed before explaining that Henry Ford designed the Model T to run on hemp biofuel, and Rudolf Diesel, who invented the diesel engine, intended for it to run on peanut oil. Not only that, but biofuels don’t pollute like petroleum, I learned. I soon met a guy with a converted biodiesel school bus, which belched the delicious smell of French fries from its tailpipe. Why did nobody but dreamy-eyed hippies seem to be aware of this? And why, a century after the Model T was invented, were we fighting wars over petroleum oil – and ruining the planet with petroleum exhaust – when we could grow our own organic, climate-friendly fuel at home? Within a matter of months I’d purchased a beat-up diesel truck and found myself sneaking behind Japanese restaurants to siphon used deep fryer oil from giant metal vats that smelled like rancid tempura. Fending off the rats and winos, a friend and I collected the oil in 55-gallon drums, mixing it with methanol procured from a specialty automotive shop, and Red Devil lye, a common drain cleaner from the local hardware store (these are the three main ingredients in biodiesel) in his backyard. Decked out in hazmat gloves and safety googles (lye and methanol, we were dismayed to learn, are highly toxic), our coveralls stained with oil, we nervously poured the first batch into my truck’s fuel tank and started the engine. Not only did it run, but the loud, clanky diesel engine adopted a smooth purr (methanol is actually sold as fuel injector cleaner, making engines run more smoothly on biodiesel). My friend and I high-fived as the noxious smell of diesel exhaust gave way to a relatively pleasant deep fryer fragrance. Not only had we joined a revolution to save the planet, we were filling our tanks for the price of a little methanol and lye. Around that time, hordes of DIY biofuel enthusiasts were scavenging used fryer oil around the country, and numerous start-up enterprises were beginning to produce recycled biodiesel on a commercial scale. The federal government was also getting involved, offering incentives for farmers and oil companies to build-up a nationwide industry of homegrown fuel. With the implementation of the nationwide Renewable Fuel Standard in 2005, and the Energy Independence and Security Act in 2007, the transportation industry was forced to adopt biofuels on a large scale, which is why nearly every gas pump in the country now bears a small sign noting that the fuel “may contain up to 10 percent ethanol” – the alcohol-based fuel that is the gas engine equivalent of biodiesel. But this picture was not as rosy as it seemed, as we detailed in a photo essay on corn-based ethanol in the fall 2017 issue of Modern Farmer. Corn and, to a lesser extent, soybeans and milo are the only crops to date that have proven economically-viable for industrial-scale biofuel production in the U.S. (large quantities of sugarcane ethanol are produced in tropical countries, such as Brazil). But it turns out that the environmental problems associated with growing those crops on an industrial scale – a crop that requires highly fertile land as well as copious irrigation, tillage, and tractor fuel to produce – outweigh the environmental benefits of burning corn-based biofuel. Corn ethanol has quickly lost its reputation as a climate change solution, yet farmers eagerly continue to plant it, buoyed by the increased prices paid per bushel since the Renewable Fuel Standard went into effect. Nearly 40 percent of the annual corn crop is now converted to fuel. The “ethanol craze” has led to some of the last remnants of native prairie being tilled up to plant corn in recent years. The ethics of using prime farmland to grow fuel rather than food are dubious at best. Using recycled cooking oil for fuel has yet to become a widespread commercial success, nor is their enough fryer oil out there to fuel even a fraction of the vehicles in this country. But in theory, almost any plant material can be converted to biofuel, including waste products like sawdust and corn stalks (currently ethanol is made mainly from corn kernels, not stalks). Researchers are working on biofuels made from species that grow prolifically on marginal land and require little or no irrigation or fertilizer. Some are even looking to harvest invasive species as feedstock for biofuel plants. Unfortunately, a variety of practical and technological hurdles have prevented large-scale production of these environmentally-friendly biofuels thus far. But as the science continues to advance, these challenges are likely to be overcome. Here are a few of the most promising biofuels currently under development. Henry Ford’s dream may one day become a reality. Hemp fiber has a long history of use, and the seeds are not only nutritional, but have a remarkably high oil content. Hemp, essentially a weed, thrives on poor land and requires minimal inputs, yet produces nearly four times as much oil per acre as soybeans, which is currently the only crop grown on a large scale for biodiesel in the U.S. The biggest challenge to using hemp as a biofuel is that so little of it is grown. 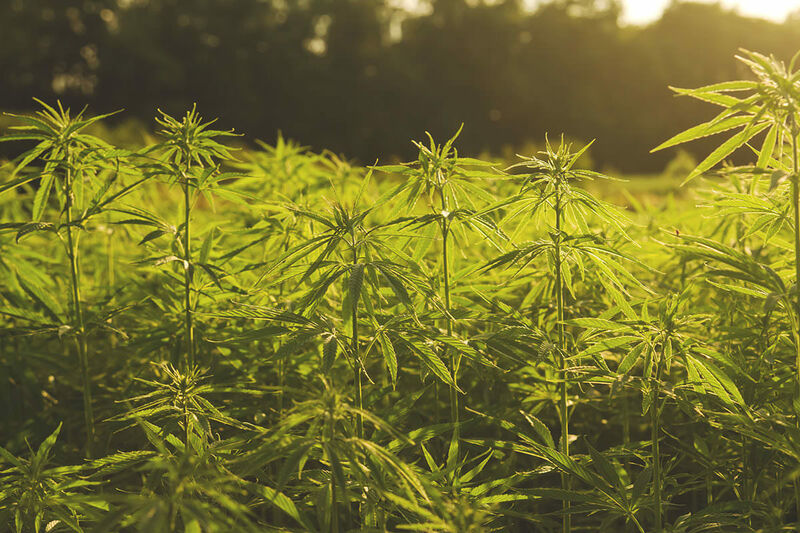 Some countries, such as France and Canada, produce it on a limited scale, but in the U.S. “industrial” hemp has been illegal for farmers to grow since the 1930s – even though it does not contain enough THC to get anyone high. While corn-based ethanol contains scarcely as much energy as is required to produce it, fuel made from switchgrass, a native prairie plant found in the Great Plains region, contains more than 5 times as much energy than it takes to grow it and refine it into ethanol. Rather than tilling up native prairie to plant corn, switchgrass-based biofuel could encourage replanting of the prairie. The problem is that “cellulosic” biofuel technology, which is needed to convert grasses and woody plant materials to ethanol, has not progressed as rapidly as the technology used to convert grain to fuel. It exists, but it’s not quite cost-effective yet. Still, several million gallons of cellulosic biofuel are now produced annually in the U.S., and it seems that it’s only a matter of time before we have the technology for switchgrass to replace corn as a feedstock for ethanol. Hundreds of thousands of acres in the southern U.S., from Florida to California, are infested with an exotic plant known as carrizo cane, or giant reed. This relative of bamboo grows 20 to 30 feet tall in a year’s time, producing more biomass per acre than almost any other plant on earth. 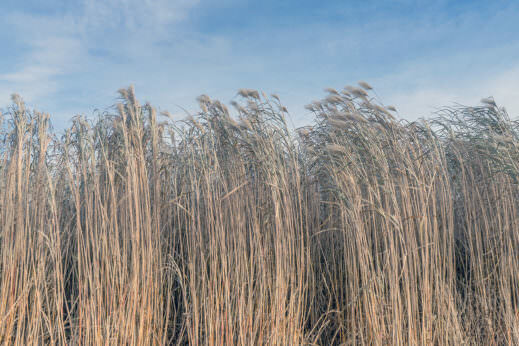 It has been touted as an even better candidate for cellulosic ethanol production than switchgrass, and is already being used on a commercial scale in Europe, where it is a native species, for that purpose. It’s invasive tendencies provide little incentive to plant it elsewhere, however. There has been some effort to harvest the carrizo cane already growing in the U.S., which is found primarily along riverbanks and in wetlands, where it chokes out native plants. This approach sounds like a win-win, but has proved logistically infeasible thus far. 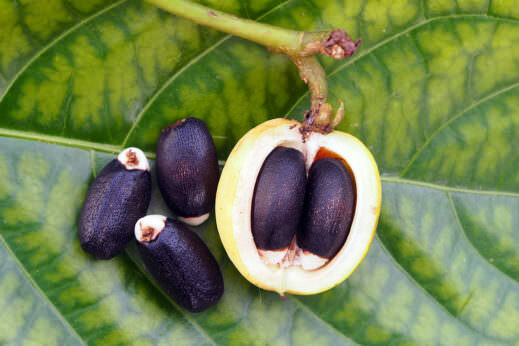 This tropical shrub is poisonous to people and livestock, but the seeds are 40 percent oil, which was historically used as lamp oil. Starting in mid-2000s, tens of thousands of acres of jatropha were planted for biofuel, mostly in India and Africa. 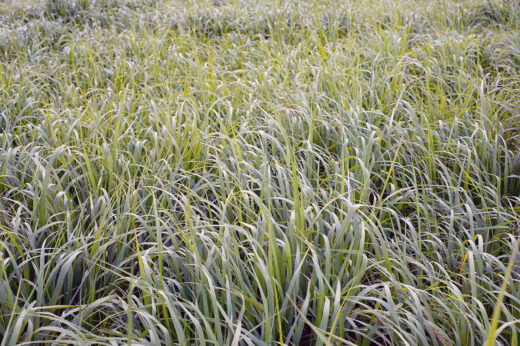 The plant was known to thrive on marginal land, but rich soil and irrigation are needed for maximum oil production. Researchers are continuing to breed improved varieties, however, and several African countries continue to invest in it, envisioning this scrappy shrub as a key to their future fuel supply. Algae produces up to 200 times more oil per acre than soy. These fast-growing aquatic organisms can be grown in salt water, municipal wastewater lagoons, or in shallow manmade basins in the desert where no other crops can survive. 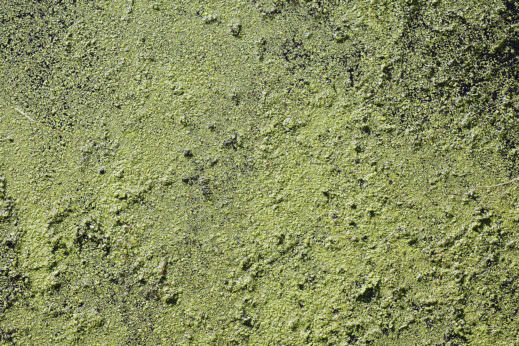 The U.S. Department of Energy, along with several of the world’s largest oil companies, have poured hundreds of millions of dollars into scaling up algae fuel production. A decade ago, industry promoters promised algae fuel would be as cheap as petroleum fuel by now – and that it would be widely available in gas stations. But quirks of the plant have made large-scale production cost-prohibitive, and many algae fuel start-ups have gone under in recent years. Others are still pursuing the dream. This summer, Exxon Mobil reported a technological breakthrough that promises to finally make algae fuel cost-effective – it does, however, involve genetically engineered strain of algae.